Quirky, intelligent and chatty, this couple shares a love of words and ideas. For this airy pair, foreplay involves theories, ideas and shared information. Nothing stimulates these two more than a heated conversation or a passionate debate. Venus in Aquarius likes to invent new rules for love, breaking down old conventions and experimenting with news ways to relate. Attracted to partners that others might see as unusual, Venus in Aquarius thrives in relationships with those who are different or unique in some way. Freedom, space and room to make radical changes in relationships are key for Venus in Aquarius. When relationships take a surprising or unexpected turn, Venus in Aquarius is energized and enlivened rather than dismayed. In fact, a zig-zag, back and forth and up and down pattern to relationship may be the recipe for success with this airy Venus. With a similar air emphasis, Mars in Gemini also needs plenty of room to move, change and breathe. This Mars is stimulated and turned on by intelligence, information and wit. Like quicksilver, Mars in Gemini moves through the world of romance with a laser-sharp mind and an unequaled ability to seduce using nothing more than the power of words. Flirty and a bit tricky, Mars in Gemini has been known to be monogamous, though this may be the exception more than the rule. Thriving on diversity, new and sweet smelling flowers and a rapid exchange of information, Mars in Gemini has the ability to be many things to many people. Together, Venus in Aquarius and Mars in Gemini give each other just the right amount of space, intellectual stimulation and sparky new energy to keep their airy engines humming. As companions and lovers, people with these placements provide each other with a natural and energizing flow of energy for the long haul. whatever works for you best to post about would be great. I know you already did Venus in Libra & Mars in Scorpio and I loved it. Your reading was spot on. But I have been curious about Venus in Sagittarius and Mars in Libra. I am not sure if you done it, but if not could you give me an idea when it will done? Should be about a month and a half as there’s about six requests ahead of this one. Sorry, I just posted without thinking and it won’t let me delete. I didn’t mean to be rude, if posting a request with the bare minimum number of words possible is rude- I think it might be. 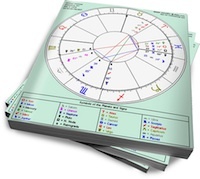 I think I’m attracted to the vibe of people with a Scorpio Ascendant and Mars in Gemini-cafeastrology was saying that the combination of an ascendant and its main planets was a person’s soul function- but I don’t know how compatible a Mars in Gemini actually would be with a Venus in Taurus. I know there’s a wait, but I’m curious regardless. Thanks for reading! I got your request down, should be up near the end of Jan/ beginning of Feb.
Venus in Libra and Mars in Gemini. I imagine this would be a good pair since they are trined…..looking forward to the description to be posted, though!!! Just wondering….. will you be posting venus in aquarius mars in leo? -my guys venus is in aquarius and i would be really interested to read about this combo. Could you please post venus in cancer and mars in pisces as well..
Is there a Venus / Mars both in Aquarius in the works? I haven’t been able to find a good write up on this combination anywhere. Damien, Fern is planning to write about all combinations.